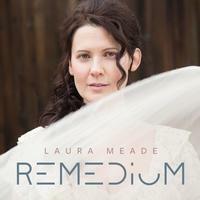 This album from Laura Meade is a unique and intriguing pleasure. It's hard to really pin down to a musical style, beyond the vague "progressive rock" heading. Meade has served as a vocalist for the prog band Izz, so landing under that category is no surprise. What is a surprise is the mix of sounds here. This is decidedly modern in tone with a lot of electronic music in the mix. Yet it also ties to classical music and folk rock. The combination of sounds makes for an unexpected journey through exciting musical soundscapes. This is definitely one of the most interesting albums I've come across recently. It's likely to make my "best of 2018" list. Cool keyboard tones open this number. It grows out from there resembling something like Synergy or Tangerine Dream. The vocals come in over the top of that backdrop. As it approaches the half-way mark of the song it fires out into more of a full arrangement. It's decidedly a cool prog rocking jam that works really well. I love the bass work on this piece as it drives forward. Some noisier prog rock stuff emerges further down the road before the cut peaks and then drops back to the mellower stuff to continue. This starts with a folk prog kind of vibe that has a lot of keyboards in the mix. It bouncy and a bit sparse in this early section. After the one minute mark, it shifts to a jazzy kind of arrangement with some cool bass work. The piece continues to shift and evolve from there, working through a number of different movements. This piece feels more organic than a lot of the opening piece did. It has some definite folk prog elements at play through a lot of the tune. Starting more stripped back, this grows out after the first verse into more of a rocking jam. It's still rather restrained. I love some of the melodic electric guitar that dances across a lot of this number. As strong as the last couple pieces were, this one, with it's cool shifts, changes and tones really stands taller yet. This comes in mellower and more stripped back. It drives outward from there. It's another exceptional piece of music. There is some killer guitar soloing on this in intriguing contrasting waves at times. Some parts of this make me think of the electronic side of Kate Bush. In fact, a lot of this arrangement isn't far from that concept. Sparse, distant piano opens this, feeling like the soundtrack to a horror movie. It doesn't alter far from that. Even when it first gets more intense, there is still a creepy kind of classical music vibe to it. This piano solo is both pretty and strangely unsettling. 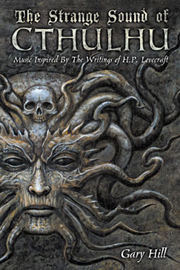 At over eleven-minutes of music, this is the epic of the disc. It starts with a keyboard based movement that almost sounds like music box music serving as the backing for the vocals. The cut moves forward in that motif for a while. Around the two minute mark it shifts to harder rocking stuff that borders on the "strange" but tasty end of the spectrum. I love the little stabs of vocals that come across as this continues. After the two and a half minute mark it shifts to a fast moving, driving, more melodic prog rock jam to continue. This gets into some really cool territory as it works onward. By around the five and a half minute mark it has shifted to some weirder music that really does a great job of creating a different atmosphere. That works through and it drops down from there. A cool rocking jam emerges around the six and a half mark and we're on a different path for the next segment. Around the nine and a half minute mark it drops to a keyboards and voice bit. It has some odd twists and intriguing dissonance as it shifts toward weirdness. After the voice drops away we get even odder keyboard based elements that eventually take it to a false ending. After a few seconds more strange keyboard sounds enter, and the voice delivers one line over the top before the whole piece ends. Coming in on ukulele, this has a real folk prog vibe. The vocals rise up over the top of that arrangement. Some odd detuned, quirky bits lend an unusual flavor later in the piece. This doesn't change much from the its beginnings. In a lot of ways the music on this reminds me of something Crosby Stills and Nash might do. The mix of voices might be different here, but this really seems to be set in similar territory. I love the multi-layered vocal arrangement on this. The tune is another killer folk prog piece. It gets some more pure prog elements layered over the top as it continues, but the main structure of the number doesn't change a lot. A sparse, almost jazzy arrangement is created with electronic elements. Meade's voice explores over the top of that backdrop. After the first vocal section other musical elements rise up and the voice turns to non-lyrical angelic soaring. From there multiple layers of voices dance around one another as some cool piano leads the musical arrangement. While the construction of this song is rather sparse in terms of number of instruments, it really is a lush a powerful piece of music. In fact, this is one of my favorites on the disc. Piano and voice with some symphonic textures in the mix create the basic concept here. This works through some changes, but never really loses sight of that. It's a great way to ground the album in its closing moments.